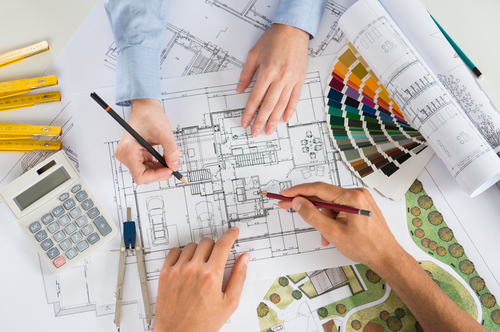 Whether you’re planning a home remodel or a commercial construction project, you may need to hire an architect. These professionals conceptualize, design, and plan structures to ensure they’re functional, aesthetically appealing, and structurally sound. If you’ve never hired one before, you may be wondering what their services cost, and how that price is determined. Read on to find out. How Do Architects Determine Pricing? Architects may charge by the hour or square foot or take a percentage of the construction cost. The price is determined by a variety of factors, including their credentials and experience. Other factors that come into play include the type and scale of the project. A shopping mall, for example, will cost more than a single-family home. How Much of a Percentage Do They Take? It’s not uncommon for a highly trained professional with years of experience to charge 20% of the construction fee for remodeling projects. The average rate is 10% to 15% for residential remodels. New residential construction, on the other hand, can range from 5% to 15%. Most firms don’t charge by the hour for the entire project. Instead, they may set an hourly rate for the conceptual phase and charge per square foot or take a percentage of the construction cost for the remainder of the job. In part, this is because many clients are surprised at how many hours these professionals put in from start to finish. How Much Do They Charge Per Square Foot? Most firms only charge per square foot with new construction, not remodeling. If they do so with a remodel, they’ll likely set a cap on the number of revisions allowed. For new construction, keep in mind the square footage billed may be different from that listed on the completed project documents. This is because basements, attics, and storage areas aren’t typically included in the building’s total square footage. Architects, however, must charge for these spaces since they are part of the design. Spring is the ideal time to start a new construction or renovation project. If you’re in the Rochester, NY, area, look no further than Pardi Partnership Architects PC for the area’s best building design and planning services. Over the past two decades, this award-winning company has established a reputation for impeccable residential and commercial designs. Call (585) 454­-4670 to speak with a staff member today. Or, visit their website to learn more about the company and their services.